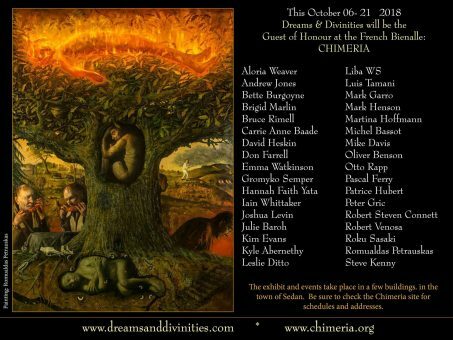 Videos>Past Exhibitions>Chimeria , France, Oct 6 – 21st . Chimeria , France, Oct 6 – 21st . Exited to announce I will be showing new paintings at this years French Bienalle CHIMERIA, Oct 6th- 21st , Sedan.